The dramatic decline in the cost of solar energy, combined with a greater understanding of its financial benefits have made rooftop solar more appealing to homeowners across the US. But some clean energy enthusiasts have discovered that installing solar on their property isn’t as easy as it may sound. Trees, skylights, chimneys, roof structures and aesthetic restrictions by Homeowners’ Associations can complicate the logistics of a solar electric installation. “My already-built house wasn’t designed for solar panels,” said Jim McDaniels of Colorado Springs, Colo. “My roof may not be strong enough, or big enough, or angled ideally for the solar panels I need to match my electricity needs.” AMECO Solar reveals that the ideal rooftop is an unshaded, south-facing roof with asphalt shingles, few obstacles (like skylights and vents) and won’t need replacing for 10 to 15 years. “I had been looking into solar energy for years, but the challenges of on-property location and building it turned into a second thought,” said Greg Gerloff of Breckenridge, Colo.
Gerloff and McDaniels are not alone. A study by the National Renewable Energy Laboratory (NREL) found that only 22 to 27 percent of residential rooftops are suitable for solar photovoltaic (PV) systems. Even customers who built their home with solar in mind have stumbled into roadblocks—like Worth Robbins who constructed his Harvard, Mass. home on an east-west axis to accommodate a future, south-facing solar array. “What I didn’t take into account was that trees grow,” Robbins said on a segment of Living on Earth. And once he removed trees on both his property as well as his neighbors, Robbins would still be 4 kilowatts short of offsetting his total energy use. “We didn’t want to do that. We like our wooded setting,” he said. Besides the physical logistics of installing a residential system, other barriers such as upfront costs and length of tenure can deter initially-enthusiastic advocates of rooftop solar. Since customers are paying today for a system that will generate electricity for 25 years or longer, buying a solar energy system is like purchasing several decades of energy all at one time, reports Environment America. 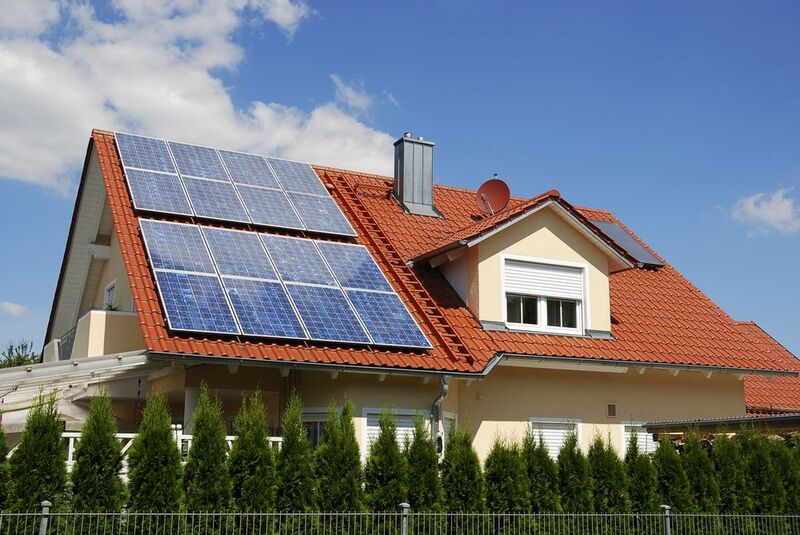 The advocacy group also notes that some homeowners are reluctant to invest in solar because they might move before the system pays for itself, or that the remaining value of their array will not be included in the home’s resale value. And the community solar movement started taking flight. Community-owned solar, the model pioneered by Boulder, Colo.-based Clean Energy Collective (CEC), allows local residents to own their solar system by purchasing panels in a shared array. This model eliminates the physical obstacles to rooftop solar, with options to overcome other barriers such as length of tenure, ongoing maintenance, initial cost and financial risk. Customers can choose how much they want to spend based on the number of panels they purchase; and opt for financing if they desire. All CEC arrays are fully insured with guaranteed maintenance for the lifetime of the array (between 20 and 50 years). If a customer moves, he or she can sell the panels to anyone else in the utility’s service territory. These aspects made community solar an easy decision for McDaniels, who purchased 25 panels in the Colorado Springs Community Solar Array. This entry was posted in Renewables and tagged community solar, Renewable Energy, Renewables, Solar, Solar Investment, Solar panel, Solar Power. Bookmark the permalink.